The Twitter Revolution that Professor Martin McKee and colleagues (February 12) showed was “helping to monitor NHS reforms”  is but one example of the enormous potential of social networking. Since the Obama phenomenon which made use of this to spread critical information to a huge number of people in no time at all, social networking has been used to achieve the hitherto unachievable. In short, social networking has precipitated revolutions the latest of which is the Egyptian Friday 11th February 2011 Cairo’s Tahrir Square Revolution which achieved the hitherto unachievable through the organizational grass roots use of Facebook and Twitter. AFRICAN SCIENTIFIC REVOLUTION ACHIEVABLE “MIZRAIMICALLY”. The title of The 5th TWAS-ROSSA Young Scientists Conference (26th – 27th February 2011) which took place at the Hilton Hotel, Nairobi last week  was “Exchanging Knowledge on Climate Change Impacts and Vulnerability in Africa: The Role of Networking”. Summing up that remarkable Conference which covered subjects from climate change effects on agriculture, flood risk management, institutional networks for exchange of knowledge, cryobiology, local community knowledge of and adaptation to climate change, etc Dr Eng Shem Arungu-Olende, Executive Director of the African Academy of Sciences hit the nail on the head when he said “Promoting net working does not have to be formal … very exciting research can be communicated from individual to individual, from individual to institutions, and from institution to institution”. The exciting process, said Arungu-Olende, “can generate knowledge and disseminate that knowledge for quite awhile” . This was also emphasized by Professor Mohamed H A Hassan, Executive Director Emeritus of the Trieste based TWAS (Academy of the Developing World) and President of the African Academy of Sciences. Networking that produces an unexpected and impressive result where despair existed before, is what I now describe as a revolution achieved “mizraimically”. Mizraim is what my Krobo tribes people call Egypt, a name originating from biblical times. No where is such a revolution more urgently needed than in the most pressing health issue on the African Continent at the moment. (2) “Children from Zevenfontein (South Africa) where 85 per cent of the community are HIV Positive”  – Financial Times, London. Which was what I did last week when I used the first lecture to introduce my recent invention of the ‘kanad’ as a novel tool for genetic counselling and voluntary family size limitation (GCVFSL) in Sickle Cell Disease and Other Haemoglobinopathies . The second lecture concentrated on Africa’s AIDS Catastrophe, and how Facebook, Twitter, LinkedIn could begin to spread the word round, alarm our kith and kin in the Diaspora, and begin a revolution. 1. One thousand HIV Positive babies born every day in sub-Saharan Africa. 3. And this in spite of Global Funds into Africa? 4. In spite of our Ministries of Health and Colleges of Physicians and Surgeons working flat out? 5. Despite WHO’s thundering the “Wear Condoms” and “Stick to one woman” advice? 6. Have top to bottom (ie Globalisation) Health Schemes failed? 7. Was it not time to start a bottom-up (ie from grass roots up) health management approach using our Traditional Chiefs? 8. What happened to Professor Kihumbu Thairu’s grass roots upwards approach emanating from the impressive Symposium organised jointly by The Commonwealth Secretariat and the Kenya Medical Research Institute (KEMRI)? Was Thairu’s approach tried and found wanting? (b) To communicate such findings expeditiously by Facebook, Twitter, LinkedIn not only to our African Parliamentarians and Tribal Chiefs but to Africans abroad? I defined ‘Epidemiology’ in the Nairobi Lecture exactly as I had done in the British Medical Journal after fact finding tours of Africa. Epidemiology, to me, is finding answers to the six questions What? When? Where? Which? How? Why? I told the Young African Scientists that armed with little more than a note book and pen, finding answers to these questions at the grass roots level will provide more information about our plight  than dissecting genes of baboons and humans in the laboratory. 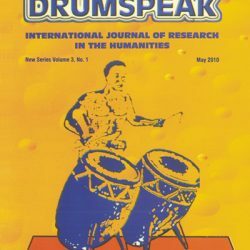 (I was referring to the misinformation/disinformation that two eminent Harvard University Professors came out with when they concentrated rather on splitting genes in the lab, namely that Senegalese prostitutes harboured antibodies to monkey virus in their blood , when in fact there was no truth whatever in their publication! It took another respectable Harvard Professor Carol Mulder to write an editorial to redeem the reputation of that great Institution: “A case of mistaken non- identity” ). Though Kenyan scientists have been known to be able sequence the genome of organisms very rapidly, our efforts should be directed rather towards using Epidemiology as I have defined above to arrive at truth very quickly. 10. The African Academy of Science  is without doubt a force to reckon with (being robustly supported by the Trieste based Academy of Sciences for the Developing World, TWAS , and it benefits from the Network of African Scientific Organisations (NASO). The Academy stands ready to use its “Quarterly Journal of Discovery and Innovation” to disseminate new information. It is ready to resume on-line publishing soon, so I urge that in keeping with the title of the Quarterly Journal the young scientists should aim at going on line immediately and, as I concluded my lecture, “aiming to publish new Ideas, new Findings, new Treatments, new Discoveries, and new Approaches which will command the attention of the rest of the world”. Professor Martin McKee and team  are using Twitter and other social media “to monitor NHS reforms”. We in Africa should similarly monitor everything from vaccinations, recommended drugs, official declarations from above, not to mention “Global Programmes”. I have queried why the Maasai in Kinyawa, Kenya, the Luhya in Wabuye, Kenya, and the Yoruba in Nigeria have been genome sequenced anonymously in the Global Sequencing Programme, and yet the international gene sequencers claim they got “informed consent” to do the work [17-20]. African scientists need to find out what exactly is happening. Have some African genes been patented anonymously yet “with informed consent” as the researchers claimed? All foreign scientists do not have the same ethical calibre. Some feel Africa’s pain; others do not, and we need to distinguish between the two, and work with those who identify with us. I once pointed out after Didier Fassin and Helen Schneider’s amazing article in the British Medical Journal on AIDS in South Africa  that scientists with Nazi proclivities did not disappear when Hitler did. . Professor George Fraser and Dr Berno Muller-Hill said as much . Matters that had been dismissed as Conspiracy Theories have now been proven to be Conspiracy Facts leading to open apologies by two living American Presidents, Bill Clinton and Barack Obama [25, 26, 27]. It is a most heartening fact that an increasing number of African Tribal Chiefs are computer literate and will be happy to be kept in the social networking loop. Their subjects prefer to listen to them to being fed top to bottom pronouncements – see how Ghanaian Health Officials were forced to come out to answer questions about serious side effects of Artesunate-Amodiaquine Combination Therapy . Ghanaian market women and roadside vendors are all social networking, while Kenyans are doing their banking business through mobile phones, bypassing the conventional High Street Banks. Scientists in Africa need also to make use of these social networking media to create a health revolution on the Continent. 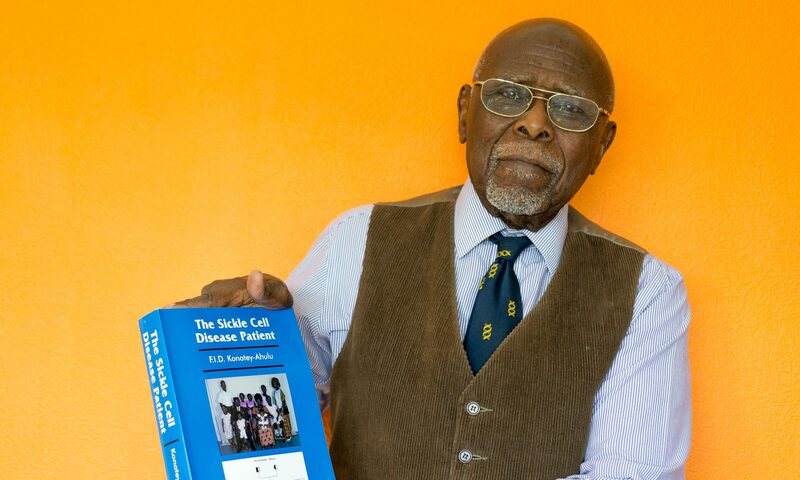 Felix Konotey-Ahulu MD(Lond) FRCP DTMH FGA FTWAS FWACP FGCP Kwegyir Aggrey Distinguished Professor of Human Genetics University of Cape Coast, Ghana and Consultant Physician Genetic Counsellor in Sickle Cell and Other Haemoglobinopathies, 10 Harley Street, London W1G 9PF. 2 TWAS-African Academy of Sciences The Fifth Scientists’ Conference on “Exchanging Knowledge on Climate Change Impacts and Vulnerability in Africa: The Role of Networking” 26th – 27th February 2011 – Preceded by the NASAC-KNAW Conference on Impact of and Adaptation to Climate Change in Relation to Food Security in Africa 23rd – 25th February 2011. Hilton Hotel Nairobi, Kenya. 3 The Holy Bible. “And the sons of Ham: Cush, and Mizraim (Egypt), and Phut, and Caanan.” Genesis Chapter 10 verse 6. The King James Authourized Version, 1908 Edition – 60th Printing. B B Kirkbride Bible Co, Inc. Indianapolis, Indian, USA 1964. 5 Financial Times, London. AIDS in South Africa. Zevenfontein where 85% of the Community are HIV Positive. Friday 20th September 2002, page 14. 6 Finch Scott. 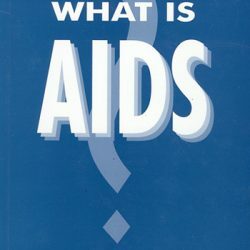 The Ravage of AIDS in Africa. BBC World Service: Science In Action, Sunday 18 October 1987, GMT 09.15 to 09.45. 7 Veitch Andrew. How to avoid catching AIDS. The Guardian, London, November 21 1986, page 21. 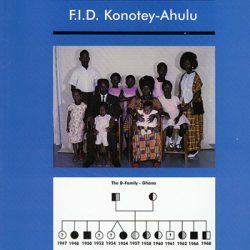 9 The ‘kanad’ in www.sicklecell.md/bio or www.konotey-ahulu.com/bio 2010. The kanad in genetic counselling and voluntary family size limitation (GCVFSL) in sickle cell disease and other haemoglobinppathies. 10 Thairu Kihumbu. Editor Symposium/Workshop Appropriate Technologies for AIDS Management in Africa 3-7 September 1990, Kenya Medical Research Institute, Nairobi with Commonwealth Secretariat SW1 London. 14 Mulder Carol. A case of mistaken non-identity. Nature 1988; 331: 562-63. 17 Announcement: http://www.1000genomes.org/files/1000Genomes- NewsRelease.pdf International Consortium Announces the 1000 Genomes Project. Major Sequencing Effort Will Produce Most Detailed Map of Human Genetic Variation to Support Disease Studies. (Tuesday January 22 2008). 24 Muller-Hill Berno. Murderous Science: Elimination by Scientific Selection of Jews, Gypsies, and Other – Germany 1933- 1945 [Translated from German by George R Fraser] Oxford University Press, Oxford 1988. 25 Clinton President WJ. Apology on behalf of the American government to survivors of the Tuskegee Syphylis Experiment victims. Worldwide radio & Television. May 16 1997. Also Ken Getz; Tuskegee, a Cloud Over Research. The Washington Post. Tuesday, Sept 30, 2008. President Clinton publicly apologized to the eight surviving participants of the shocking and unethical study, saying “What the United States Government did was shameful”. 26 Tanne Janice Hopkins. President Obama apologizes to Guatemala over 1940’s syphilis study. BMJ 2010; 341.c5494 doi:10.1136/bmj.c5494 http://www.bmj.com/content/341/bmj.c5494.full October 9, page 750. 28 Amofah G. Furore over Artesunate-Amodiaquine Combiantion (ACT) Drug. Daily Graphic, Accra. Monday May 5, 2006, page 23. Next PostNext Only fruitcakes believe in GOD?